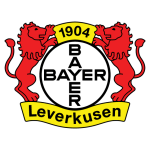 Bayer Leverkusen vs Borussia Monchengladbach predictions for this weekend’s German Bundesliga. Can new boss Peter Bosz lead Leverkusen to a win when they host Gladbach at the BayArena on Saturday? Read on for our free betting tips and match preview. Bayer Leverkusen blew hot and cold in 2018, and even though their results started to show some signs of improvement towards the end of the year, former-Dortmund boss Peter Bosz was brought in to replace Heiko Herrlich over the winter break. Jamaican winger Leon Bailey looks the player most affected by the change, scoring a brace in a friendly win over Dutch outfit Zwolle during the preparations for the second half of the season. It will be interesting to see if Bosz can get Leverkusen back challenging for a Top 6 spot by the summer. A team of their calibre should be doing better and only their recent DFB Pokal and UEFA Europa League successes distract from one of their worst ever starts to a Bundesliga campaign. Borussia Monchengladbach are, contrastingly, enjoying one of their best ever starts to a season. Belgian international Thorgan Hazard was instrumental to their position at the top end of the table and so it was no coincidence that when his form dipped toward’s Christmas – only 2 of his 9 league goals came in the seven games before the break – so did Gladbach’s – Die Fohlen took just seven points from their closing five matches. French forward Alassane Plea, who scored just one of his nine this season in the last six outings, also seemed to have run out of steam. Coach Dieter Hecking will hope the duo come back strong after the break and both should feature in an attacking trio alongside captain Lars Stindl. Brazilian forward Raffael, however, remains out. Leverkusen are the side in marginally better form going into this but we feel that they’re simply priced too short for a side yet to have proven anything under their new boss. With that in mind, the value for us here looks to be in Borussia Monchengladbach. Backing them ‘double chance’ (win or draw) looks the bet for us on Saturday. Leverkusen’s problems in the first half of the season were in their defence more than their offence and notably they’ve appointed a coach who doesn’t have a particularly good track record defensively in teams he has coached – for example, though his Dortmund side scored a solid 53 goals in 24 games in 2017, they won just eight games because of their poor defensive record (W8 D7 L9). We’re not too sure that will work out against a Gladbach side that should have goals in them after a few weeks off. You could make an argument that Leverkusen’s home advantage and good head-to-head record will help them see off Gladbach anyway, but if we pick apart both sides’ recent results, we can better see the real picture. Leverkusen have won three home games on the bounce, but two of these have been against sides in the bottom four and the other was against an out-of-sorts Hertha. 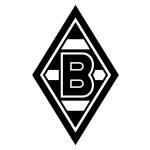 Gladbach, meanwhile, have had a really tough spell on the road, having faced RB Leipzig, Hoffenheim and Borussia Dortmund over their last three. It would be unreasonable to assume that Leverkusen will be straight back on the same level as sides like that after just a few weeks training under Peter Bosz, but given his playing style, we do expect there to be goals in store. Our prediction: a 2-2 draw. Dieter Hecking’s Gladbach side lost 6-1 to Peter Bosz’s Dortmund in the first half of last season – his heaviest competitive defeat to date, with Bosz now in charge at Leverkusen. Leverkusen have won four of their last six Bundesliga games (D1 L1), having triumphed in just three of the previous 11. B04 have won their last two matches – they haven’t claimed more consecutive victories since March/April 2016 (7). Leverkusen have won each of their last three Bundesliga home games – their longest such run within a single campaign since March-May 2016 (5). Leverkusen have conceded a league-high 12 goals from set-piece situations. They’ve also let in more goals than any other side from corners (7). Leverkusen’s Kai Havertz claimed his 28th and 29th goal involvement in the Bundesliga against Hertha last time out, scoring two goals – he’s the youngest player to achieve the feat since these records began in 2004-05 (19y 194d). Borussia Mönchengladbach have claimed just nine points from 33 available on the road this term. They have a higher differential between home and away tallies (15) than any other side. Mönchengladbach have kept a joint league-high seven clean sheets in 2018-19 (same as Leipzig). Mönchengladbach’s Patrick Herrmann has scored six Bundesliga goals vs Leverkusen – more than he has against any other side.